No power? No problem! 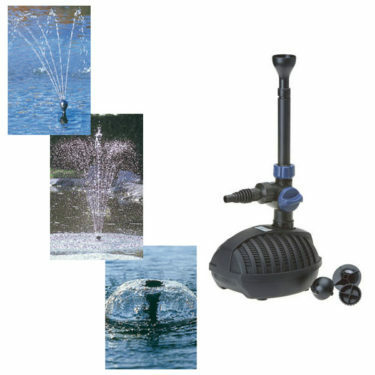 The Aquagarden SolarFree range of pumps uses free power from the sun. 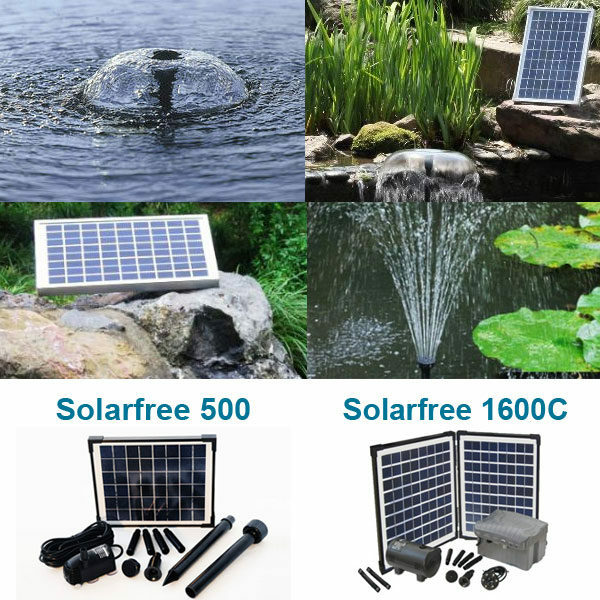 These complete pump, solar panel and fountain kit sets are ideal for small ponds and waterfeatures where no power point is available. They also include a telescopic fountain riser with a secondary T-piece outlet. The Calyx and Bell style fountain attachments are easilyremoved for cleaning. The pre-filter cage surrounding the pump reduces maintenance and includes a variable flow control tap in the 1000c and 1600c models. The Solarfree Supreme 800C and 1600C models come with battery backup units for sunless days and night use. The Supreme models also come with an LED fountain kit. Includes 2 year guarantee (excluding batteries and parts subject to wear and tear). 24V setting. When on 12V setting battery life increases to approximately 9-10 hours. • Solarfree battery recharging time is a minimum of 6 hours in full sunlight. 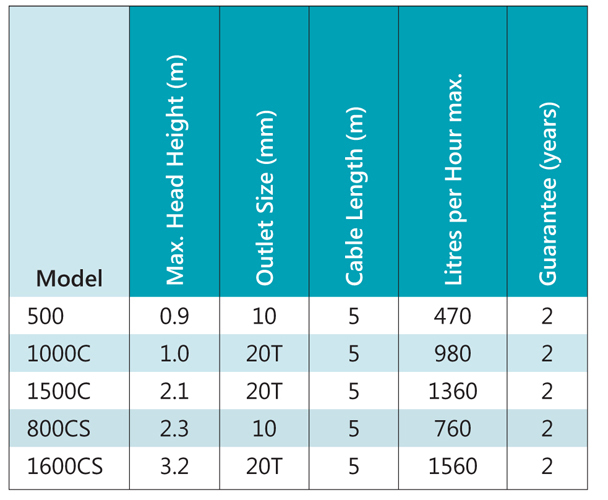 • Solarfree pumps performance will be sharply reduced on very cloudy & dark days or if there is shadow on any part of the solar module, as the cells are in series. We recommend positioning the solar module in full sunlight to achieve maximum performance. 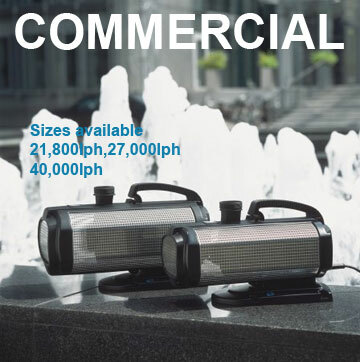 Commercial fountain pumps designed to push water vertically. They are exceptionally high powered and have a robust stainless steel design. Suitable for impressive fountains in private gardens or public installations, they come with a 5 year guarantee. Available in 21,800lph, 27,000lph and 40,000lph.